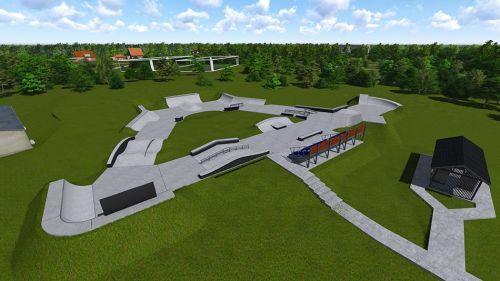 Big skatepark with wide bank ramp, quarter pipe and funbox. 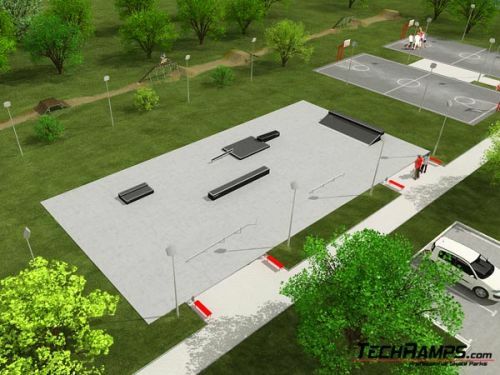 Also in skatepark there are miniramp, two rails and grindbox. 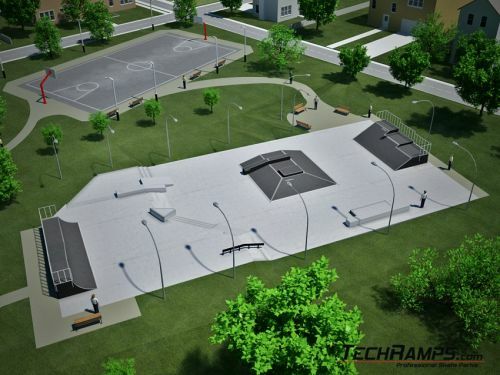 Minirampa is an element that can stand almost anywhere - you need just equal, hardened square. 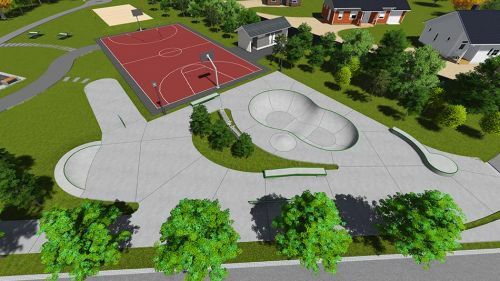 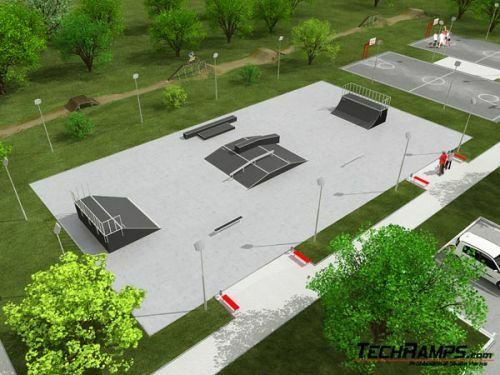 Good to expand the skatepark, or first stage of construction of skatepark. 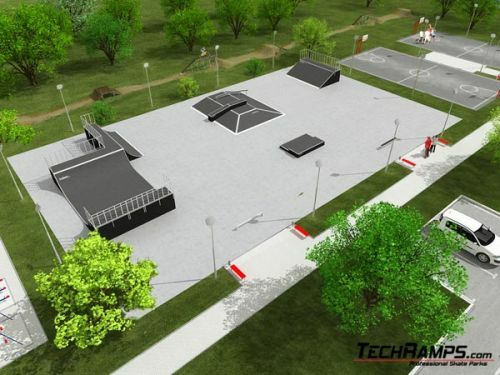 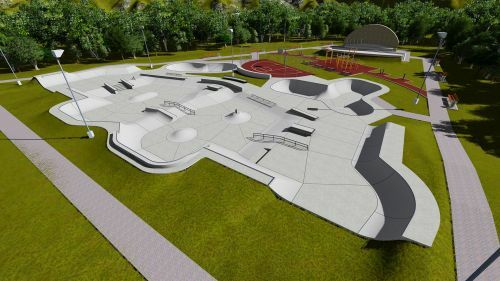 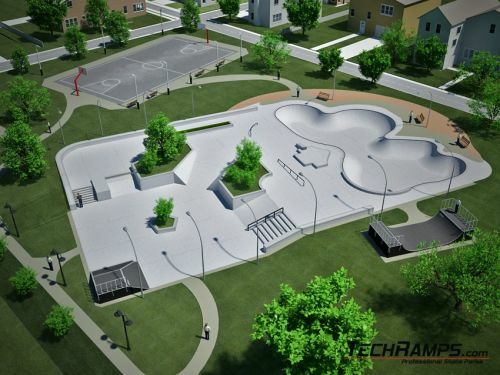 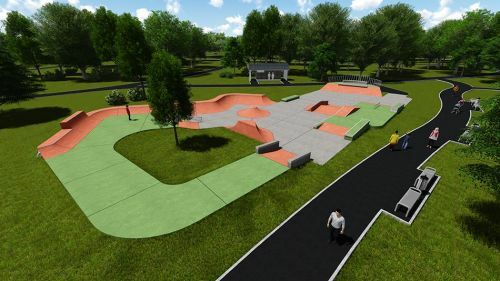 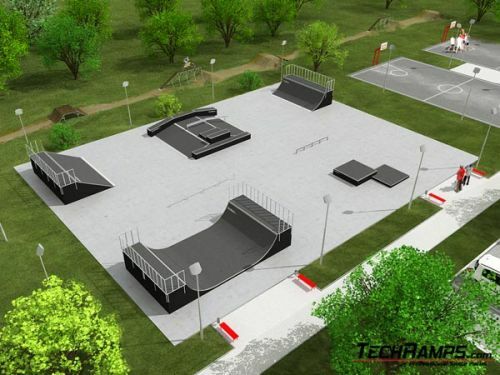 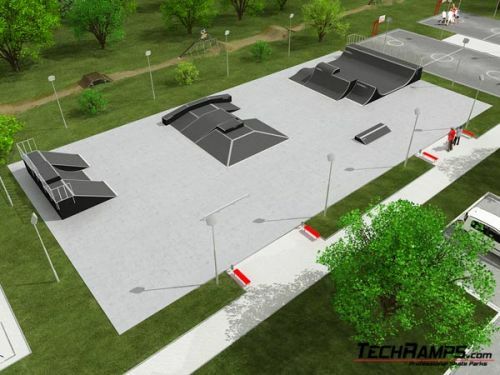 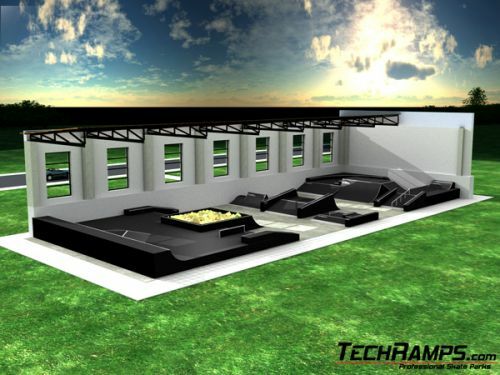 This big skatepark consist of among others expanded funbox with pyramid and high miniramp. 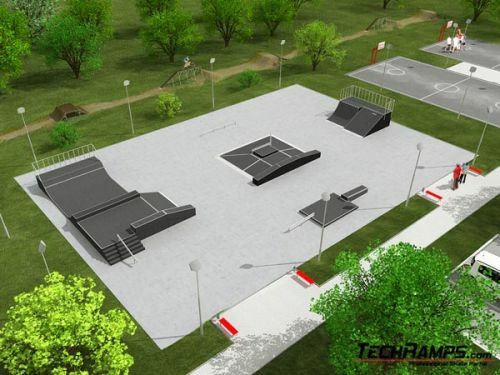 Also in skatepark there are small elements: grindboxes, grindbench and rail. 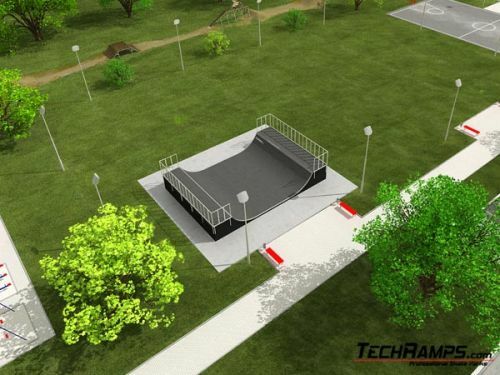 Skatepark with mini spin ramp, spin ramp and funbox for jumps. 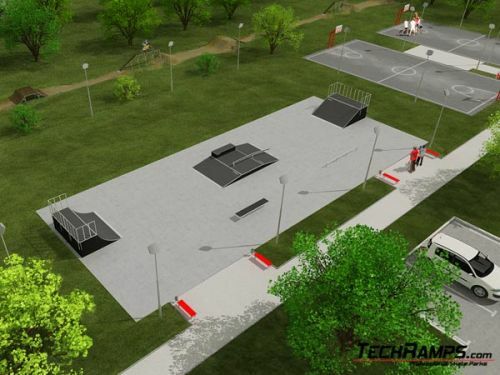 Skatepark consist of big platform with miniramp, funbox with pyramid, also grinbox and rail. 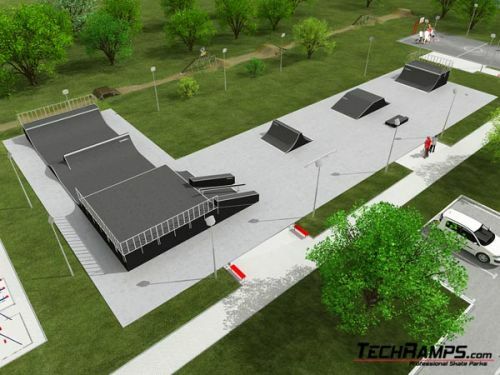 Skatepark with wide miniramp, also funboxes and pyramid, complemented by grindbox and rail. 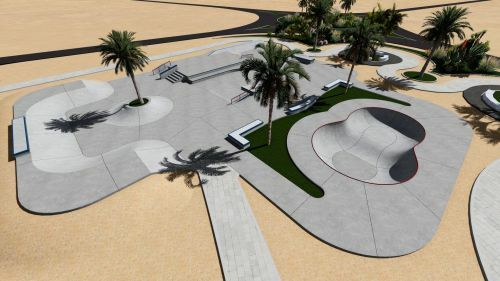 Skatepark consists of several grindboxes, rails and grindbench. 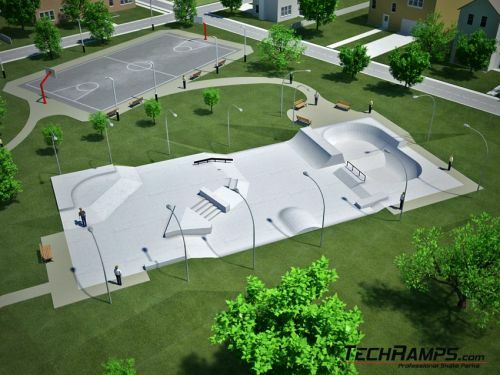 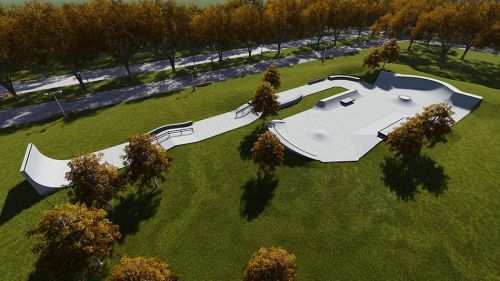 Skatepark consists of several elements: Bank ramp, Quarter pipe, Funbox with grindbox and rail, Grindbench, Rail (round).